This carpet wand is made for specifically recovering flood water. 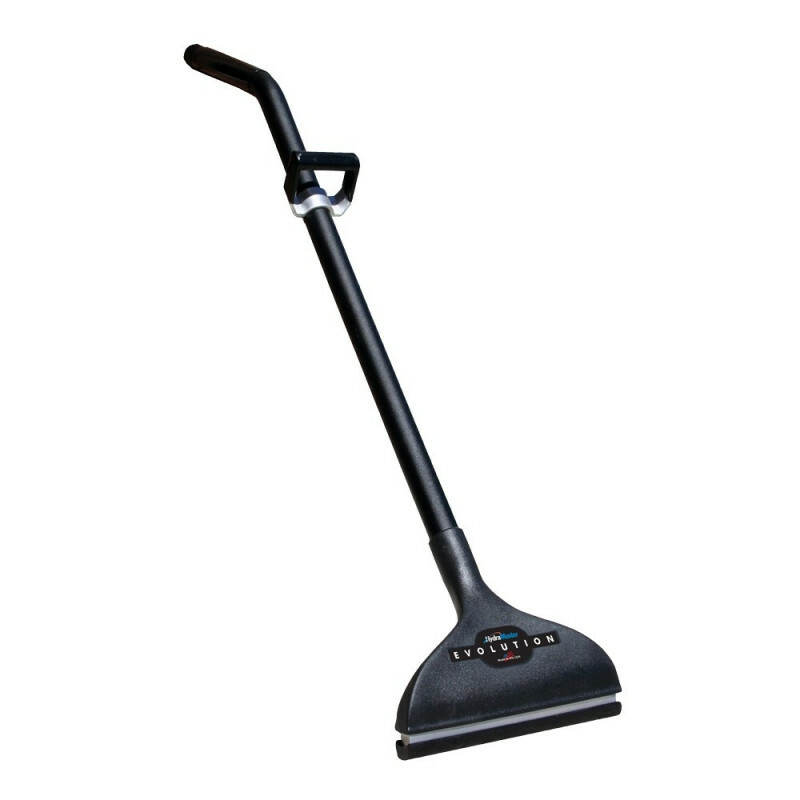 It is a jetless wand, so it has no hookups for solution, and can only recover water. This helps to keep the weight and cost down. At only 8.8 pounds, this is the lightest drag wand on the market, which helps to keep you refreshed and fatigue free as you work. HydraMaster has specifically designed this wand for use with the US Products flood water extraction machine, but it can really be used with all of our flood extractors, as long as the extractor has a 2" vacuum hose hookup. 16" roto-molded head was designed to provide a laminar airflow, which maximizes productivity. Weighing only 8.8 pounds limits the amount of fatigue you continue to feel as you extract the flooded water. Built in Delrin® glide provides a smooth glide across any carpeted surface. Cast aluminum handle with rubber coating is adjustable to fit any sized operator. This is a review for the HydraMaster 16" Evolution Flood Water Carpet Wand.